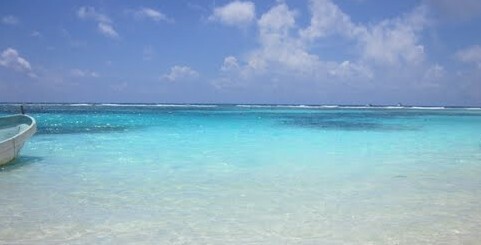 Looking For Where To Go In Costa Maya? Be Sure To Also Look Where Not To Go! So you are coming to Costa Maya/ Mahahual and wanting to find out which of the many beach clubs and excursions we have here is the best. Who doesn’t want to go to the place that is the best? So what do you do to figure that out? You start looking at the different rating services and hit the many discussion formats that are out there to help you decide. If you are like most, you start at the top, and work your way down. Most never get too far before they find the place they think will work for them. However, if you go to that much trouble to make sure you end up in one of the best places in town, you might also take a minute, to make sure you don’t end up in one of the wrong places, just in case. How do you do that? You look at the bottom of the list of restaurants. PEOPLE NEVER LOOK AT THE BOTTOM OF THE LIST!! Bookmark or screen shot it on your phone, whatever it takes so that before you go into a place blind, check and make sure it is not on the bottom of the list. Often it is not a matter of finding a good place, as much as it is making sure you stay away from the bad ones. We’ve have talked here in the past on the “jaladores”, or the street hustlers many local places pay to try to get you to go into their place. If you have not read about them, click here to read a bit more on how they work. But for this discussion, it is important to remember, any good and reputable restaurant/beach club, does not use jaladores. We think they are an ugly blemish on an otherwise very nice and friendly little tourist town. If a restaurant has to pay jaladores to bring them people, they are not one of the good places. So if a street hustler tries to get you to his “very best places”, keep that in mind. A smile and no gracias works every time with them too. But the most effective way to make sure you miss the bad places is to take a few minutes and get familiar with the bottom restaurants and activities on sites like TripAdvisor or Yelp. TripAdvisor usually has the most complete lists of local businesses and how well they rate against one another in general. There are many good places in Costa Maya/Mahahual that are not top rated on TripAdvisor, but are still very good places visitors can enjoy. But then again, none are on the bottom of the list. As you scroll down the list of the bottom places, keep in mind, many of those are no longer in business. Check the dates of the latest reviews, and that will tell you if they are still in business and why they are at the bottom. Just make sure you look at, and take note of, the ones you need to stay away from. It only takes a minute or two to read a few of the complaints and you will see the common patterns of how they do business. Know where to go, and where not to go! We take very serious our responsibility to provide quality tourism services to hard working people who pay for and deserve those services. Because of that, it bothers us that every day, we watch in amazement, as the business next door, the worst rated restaurant on TripAdvisor that is still in business, gets poor unsuspecting souls into their place with their troops of jaledores, only to be victims of unscrupulous business practices that, had they just read what people are saying, they could have avoided. Just do a little extra homework, beat the Facebooks and discussion boards, but in the process, make sure you note the bottom of the list places too, and stay away from them. Most of Costa Maya/Mahahual has wonderful tourism businesses, where visitors can come and enjoy a fun day, week or even longer. However, like anyplace, we have a few bad apples, and unfortunately, it is often those who too many hear about. It is however very easy to avoid the bad ones, and if you do, my guess is you, like most, will love your experience in our little Mexican Mayberry. Just check those bottom places on TripAdvisor, make notes, and stay away from them and their hard sale street “jaladores”, and we promise, you’ll have a great day at wherever you end up. 2 Responses to Looking For Where To Go In Costa Maya? Be Sure To Also Look Where Not To Go! Great advice Brandon, thank you. Lisa and I refer to the hucksters as Hollerdores and they are a blight, no question about it. I enjoy stopping to read different menus on the Malecon and behind it, looking in to see what the place looks like but in some areas just stopping invites the Hollerdores to descend on us like locusts so we try to keep moving when they are around. Too bad and hopefully in the future maybe Hollerdores will go the way of the DoDo Bird.